'Por Bazaar' is the story of five youngsters, namely Ajay, Manjiri, Samar, Vishal and Raghini, who often bunk lectures and go to cinema halls, parks and other places for timepass. On one such occasion when the five are hanging out, they encounter a weird house and few people in it. The movie then is the adventure of these inquisitive five who get intrigued by this house, the people there and eventually enter the house to reveal a truth. Directed by Manava Naik, the film cast includes Ankush Chaudhary, Sai Tamhankar, Swanand Kirkire, Satya Manjrekar, Sakheel Parchure, Dharmaj Joshi and Anurag Worlikar. Shailendra Barve has composed the music for the film. The film has been produced by Ashwini Ranjit Darekar and co-produced by Meena Naik. 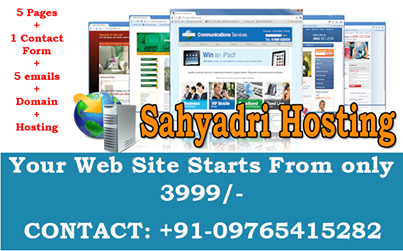 Sahyadri Techno Solutions Pvt Ltd. Powered by Blogger.